And now the story of a wealthy filmmaker who has been brought back into the booth to record new narration for a beloved series. As previously reported, Mitch Hurwitz is re-editing the fourth season of Arrested Development so that it runs chronologically, rather than in the concurrent episodic structure it had for its original released on Netflix. 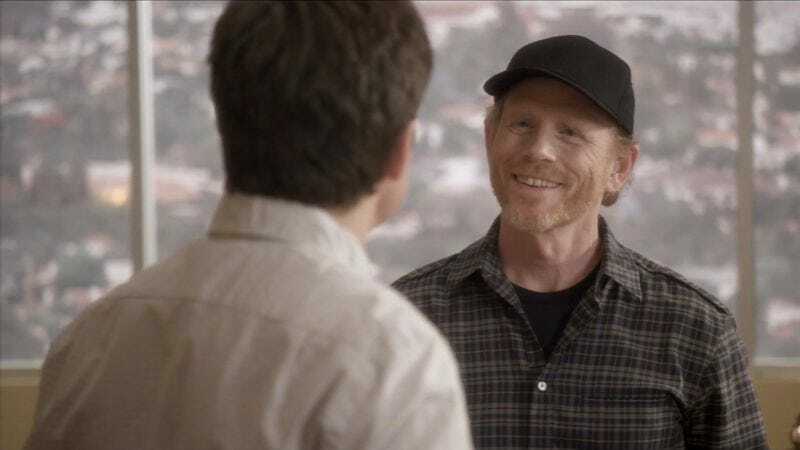 And in order to patch up some seams and tell the story in a more streamlined manner, it seems Ron Howard has returned to the darkened tomb of a recording studio to lay down new tracks in his role as The Narrator. This was announced, as so many things are, via Howard’s Twitter feed. Hurwitz has yet to say whether this new cut will also be on Netflix or whether it will just be a part of the DVD release, but the fact that Howard is involved at least confirms it’s really happening.